Scalable Vector Graphics (SVG) is a vector image format. 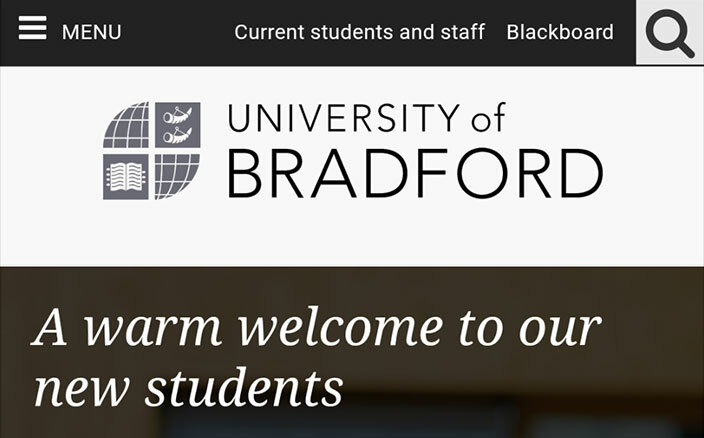 Yesterday we changed the format of the University of Bradford logo from PNG to SVG. 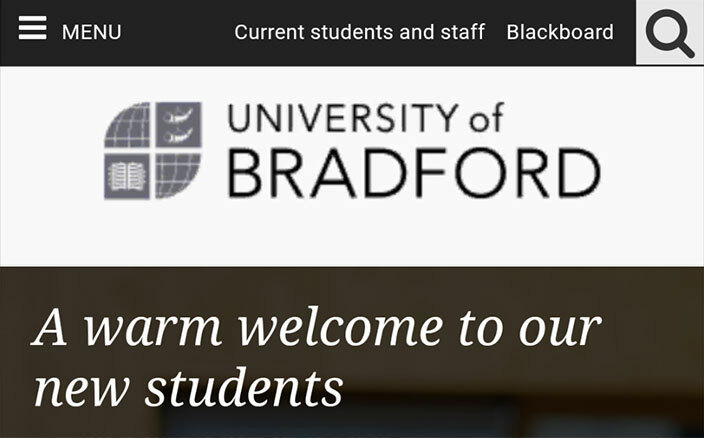 See before and after below. The difference is not so obvious on average laptops and desktop PCs, but it’s incredible on high pixel density (Retina) devices i.e. pretty much all modern smartphones and tablets.